Have you tried contact lenses yet? Free 1 hour contact lens trial, assessment and teaching session worth £45! Exclusive 25 % discount on glasses or sunglasses every year! During your 1 hour contact lens trial, assessment and teaching session we will discuss your needs and expectations, decide which contact lenses are suitable for you and show you how to insert, remove and care for your contact lenses. Once you feel happy and confident you can take your contact lenses home for a 2-3 week trial. At this stage you will pay the £45 to cover your consultation fees. 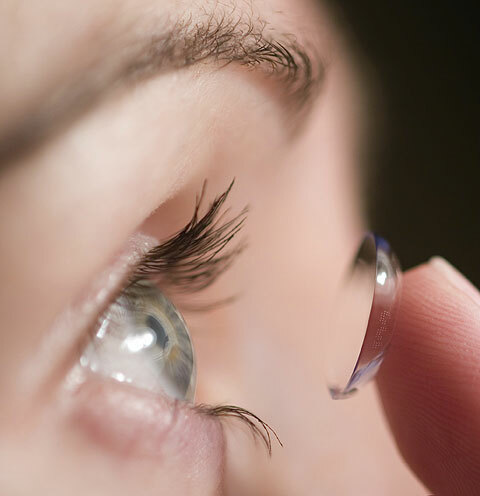 Once you have trialled your contact lenses you will return for an assessment wearing them. We will check your progress, assess the contact lenses and if you are happy you can sign up to the all inclusive option. Payments are made by direct debit which is taken on the 1st of the month. You will need to pay the first 3 months payments on registering. At this stage you will be refunded your £45. The direct debit payments will start once you have collected your first 6 months supply of contact lenses and solutions. You will be reminded when you need to attend for contact lens aftercare appointments and eye examinations. *If you decide not to buy your lenses on the all inclusive option you will not be refunded for your trial. We also provide comprehensive aftercare appointments for current contact lens wearers which are £35 each. COME AND SPEAK TO US ABOUT CONTACT LENSES FOR YOU.